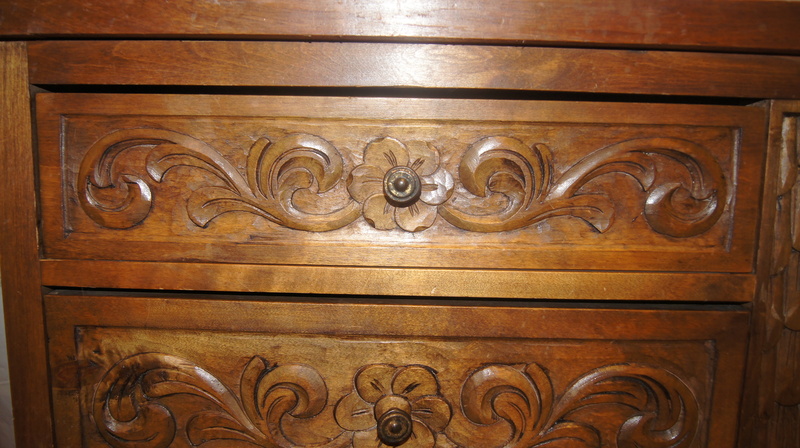 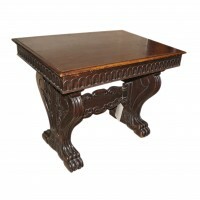 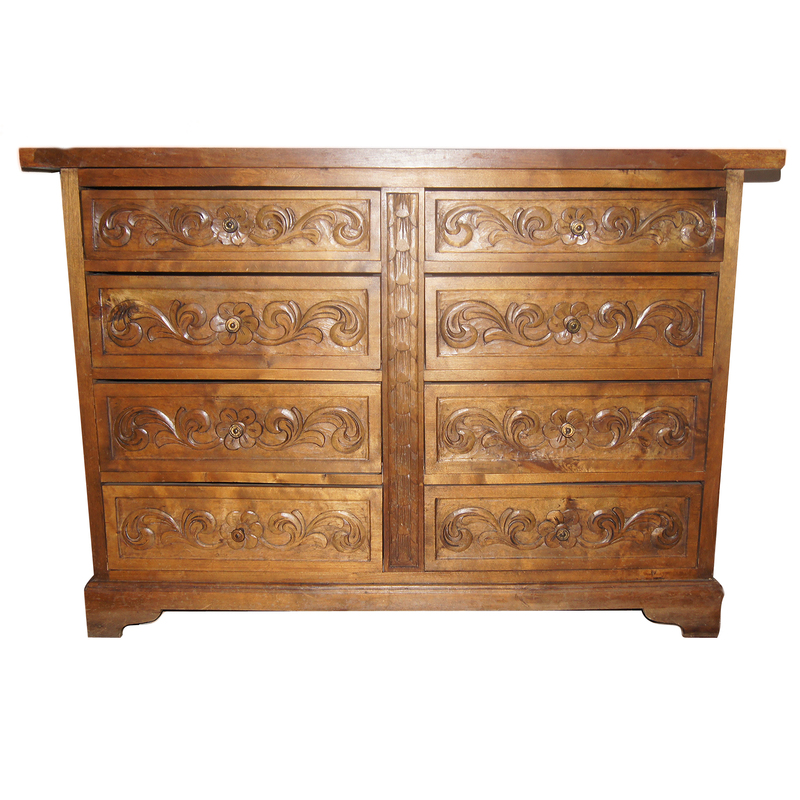 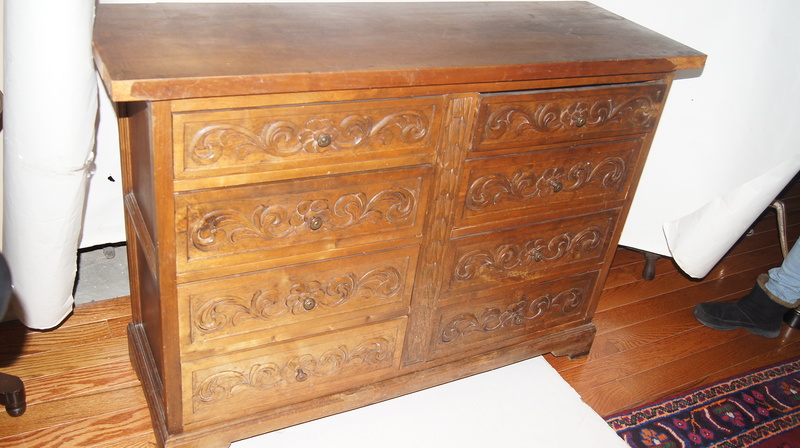 A Circa 1920 Italian carved wood chest of drawers with foliage motif. 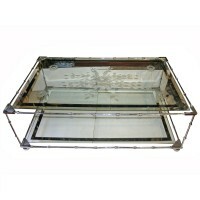 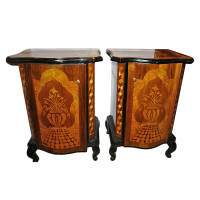 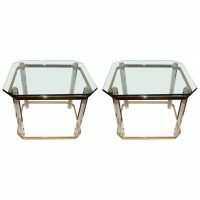 A pair of 1960's Italian side tables with lucite and gilt brass body, beveled glass top. 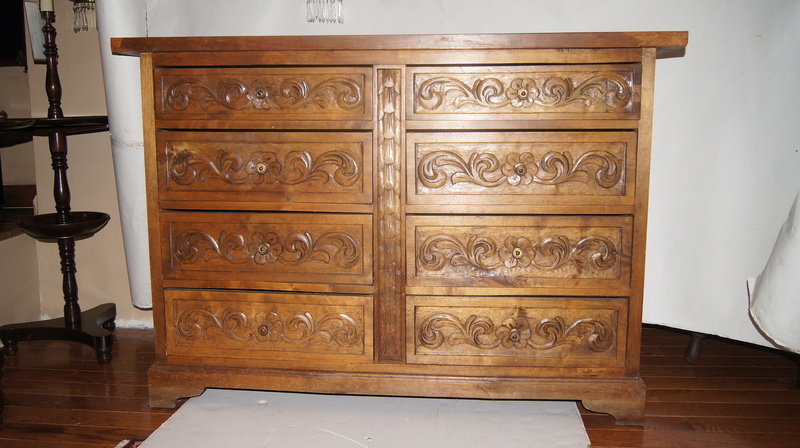 Measurements: Height: 22.75" Length: 26" Depth: 22"